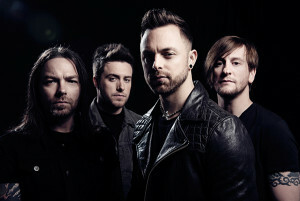 Rock.de | Bullet For My Valentine: "Venom" out now! 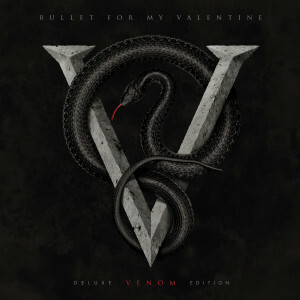 Bullet For My Valentine: „Venom“ out now! BÄM! Heute erscheint das fünfte Album von Bullet For My Valentine! Die walisische Metalcore-Institution läßt auf „Venom“ Genregrenzen und Trends weit hinter sich. Mit viel Herzblut und dem Blick in finstere Abgründe entstanden 15 neue Songs, die kompromissloser und härter klingen als je zuvor. „Venom“ gibt es in einigen megastarken Versionen. Bei Amazon könnt ihr eine limitierte Fan-Box (inkl. Lenticularcover, Autogrammkarte, Gitarren Plektrum, besticktem Schweißband und Sticker) haben, bei Saturn und Media Markt sind exklusiv zwei weitere Songs am Start, EMP haben eine Kette für euch dabei, bei Impericon gibts T-Shirt, Poster und Sticker on top dazu, bei iTunes gibts natürlich den Download. Hey everybody whats up, Matt here. So, I’m currently sitting in my hotel room on a day off from our run in the States with Slipknot. It’s record release eve for me and the guys, so I just wanted to personally touch base with you all and share a few thoughts with you before the record officially drops. I wanna thank you all in advance for your love and support over the years – without this we would not be able to do what we do. The last couple of years haven’t been the easiest or the smoothest for us, but I want you all to know that because of you, we have always felt blessed and privileged to be able to do this; and without you – none of it makes sense. So, from the bottom of my heart – I thank you. Last year we hit some major bumps on our journey, bumps for some that would have been enough for them to throw in the towel. However, these bumps for me are just reminders that I am/we are not perfect nor invincible, and that to become something truly special – it’s how you react and deal with those bumps that define what you’re made of, and ultimately make you come out the other side stronger than ever. Even 5 albums in, and over a decade of touring later, we’re still learning every day what makes us who we are and how to be the best we can be, and I’m pretty sure and hope that that will never stop. So, as I sit here eagerly awaiting the release of Venom, I’m bursting with pride and excitement for you all to hear it in its entirety. Everyone that worked on it put their heart and soul into it, and I’m sure that when you do hear it, that will come across instantly. Thank you once more for your support, enjoy Venom, and we’ll see you on stage somewhere soon. Thanks for being part of the last ten years – heres to the next.